He’s Doing a Superhero Landing. Wait For It. During a shoot we spotted a talent that resembled a young Clark Kent aka Superman. My brother, Austin, came up with an idea to create a quick spot video where the story would be told in the eyes of the talent while the physical actions, cinematography, music track and VFX would support it. The talent, Andrew Lindsky, has never acted before. Yet, he was able to convey in his eyes the strength and insecurity of a young Clark Kent coming to grips with his emerging superpowers. I think Andrew easily understood the psychology of a young Clark Kent, because he is a teenager that competes in the sport of fitness. So he probably has some super strength abilities that majority teenagers do not have. At the studio, my brother directed Andrew on the physical motions of the superhero landing & take off to execute in front of the camera. That took about twenty minutes of directing and shooting. The footage was then taken through post-production of sound, VFX design, editing, color correction, grading, etc. The Superhero Landing & Takeoff is one of my favorite video executions, because it was spontaneous. A story was told in nine seconds which is immensely difficult to do. Also, it displays creative spontaneous production in-the-now which is a powerful skill-set for an agency team. Furthermore, is the addition of the superhero takeoff which is also iconic. However, it isn’t a punchline meme yet. I guess we’re just early to the party. Superhero landing. He’s gonna do a superhero landing. Wait for it. Dallas videographers from RONIN do a quick cinematic take on the city. This digital media agency in Dallas is bringing new life to video production. RONIN serves as a creative skunkworks team working with businesses, innovative tech companies, startups, and social enterprise. They problem solve pain points and provide new revenue streams with data driven technology development, design, video media and marketing. Their consultancy is truly full-service and is comprised of coders, developers, graphic designers, technical marketers, cinematographers, video producers, music producers, filmmakers, and brand strategists. Technology Development Capabilities: Design and Development of Website Platforms and Mobile Apps for Media Publishing, Crowdfunding, and E-commerce. 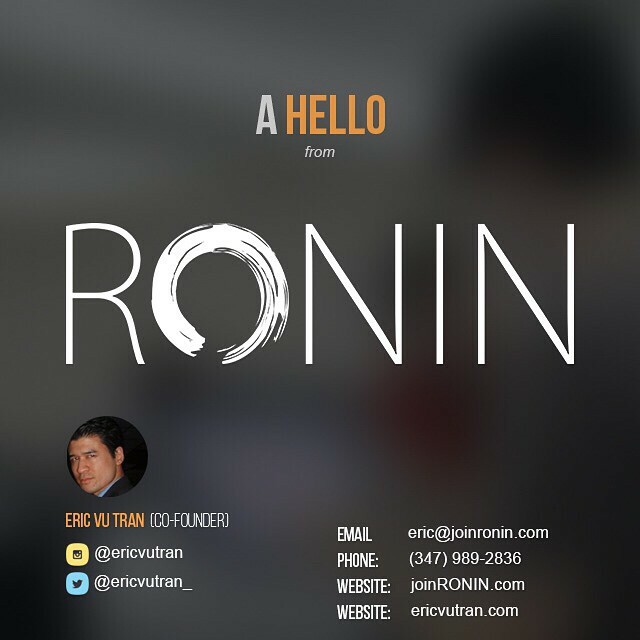 Creep the RONIN team on Social Media! If that’s what you’re into. Quick docu-style video montage from Deep Ellum, Dallas during the day time. Below are some photos from the video. I’m liking the lens flare on this shot. one of their creative secrets: Be unexpected. “Don’t give them a video they could have written themselves,” Dubin says.